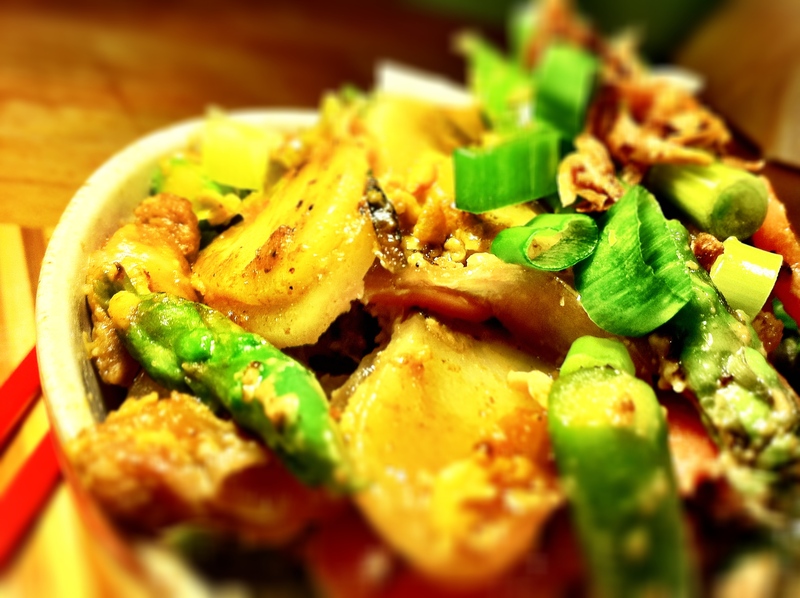 Is there a secret to a great stir fry? My friends often ask me what I put in my stir fries or what makes a good stir fry. I don’t really have an answer because you can basically put anything you want into a stir fry. The best ones are those that contain the ingredients you love, so if you love capsicum, then make sure you’ve got lots of capsicum in it! 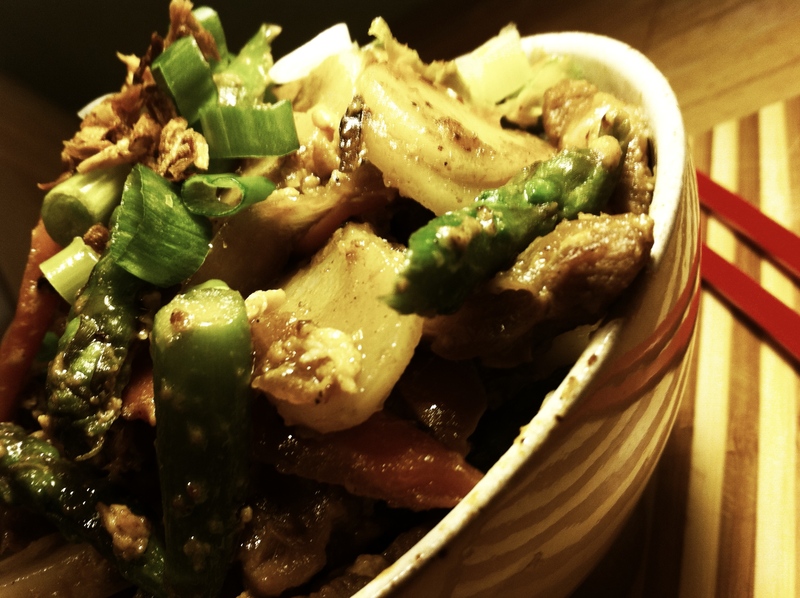 My own personal golden rule is that I like my stir fries to be full of vegetables that are still crisp so that when you bite into them, you get the full crunch and flavour of the vegetable. And I love having lots of vegetables in it. 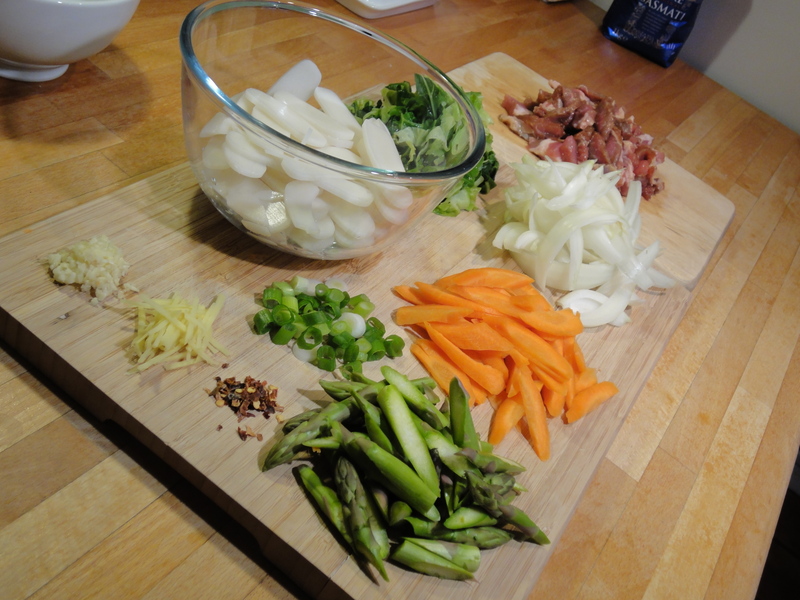 What I love most about the humble stir fry is that it never takes more than 30mins to prepare and cook. Tonight’s a great example. I left work on time so I could get home, inspect the fridge and work out what I’d put into today’s stir fry. However, as (bad) luck would have it, all the trains from Waterloo were up the spout. I ended up having to make a 2 hour detour before I managed to get home at 8.30pm. Even with me faffing around taking photos, I had this dish done and on the table by 9.15pm. Plus, every time you change a few ingredients, like the types of vegetables you use, you get a whole new flavour and taste. In today’s recipe, I added some left over spring greens which we’d cooked for dinner the night before (they were blanched for under 3 minutes so stayed green and crunchy). 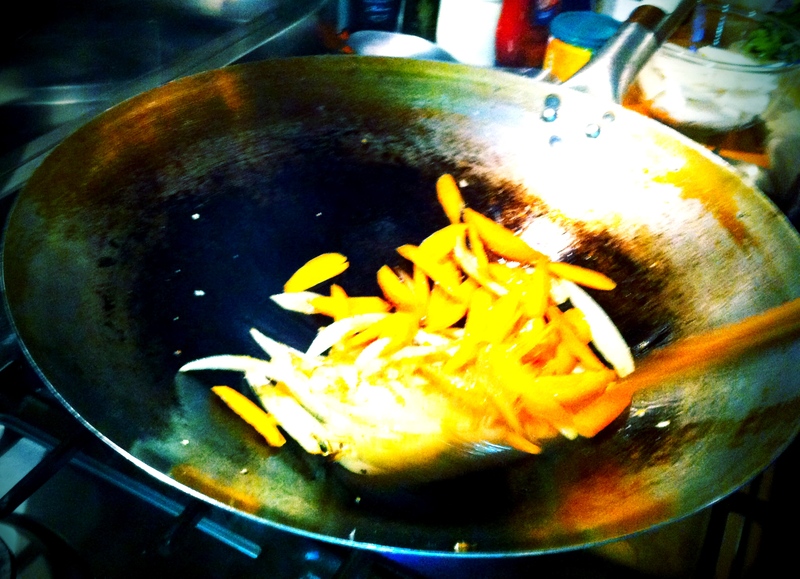 Nothing beats a traditional Chinese wok for cooking stir fries but a deep fry pan or casserole dish can still do the job. 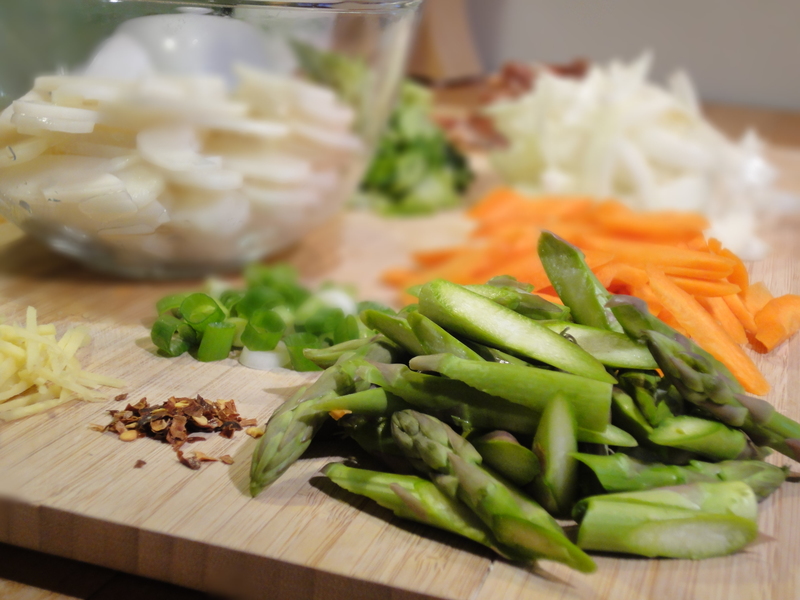 There’s no golden rule to stir fries, choose the vegetables you love to eat! The first thing I fry is the onions but that’s because I like to almost caramelise mine and get a good brown edge to them (takes about 2-3mins) before I add the ginger (fry for another min) and then the garlic. The pork (marinade and all) goes in next and I’ll fry that for about 3-4mins. If your wok and heat is strong enough, the pork will be cooked through already and you’ll notice the sauce caramelising the carrots and onions etc to a sticky consistency. I then add the asparagus (if you’re cooking with other raw green vegetables, add them now too), stir fry for another 2 minutes before adding the rice cakes. Once the rice cakes are in, they really only need another 3-4 mins to be cooked through (I added my cooked spring greens at this time). Add the tablespoon of soy sauce. 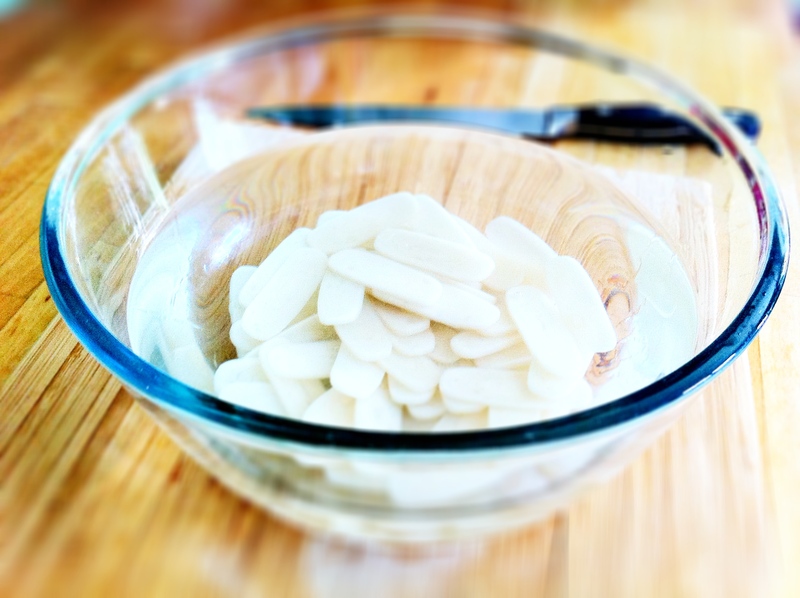 Make sure you’re constantly stirring and flipping all the ingredients over because the rice cakes will start to stick to the pan once they’re cooked. To finish, add the egg. If you fry the eggs for a minute, you’ll get a sauce like consistency but if you want a drier fry, keep stirring until the eggs are cooked through. Dish up, garnishing the stir fry with chopped spring opinions, parsley or coriander. If you want to give it a bit more fragrance, drizzle some sesame or chilli oil over the top. Or if you want to add crunch, sprinkle some crushed peanuts on top. Pick up a pair of chopsticks and dig in! 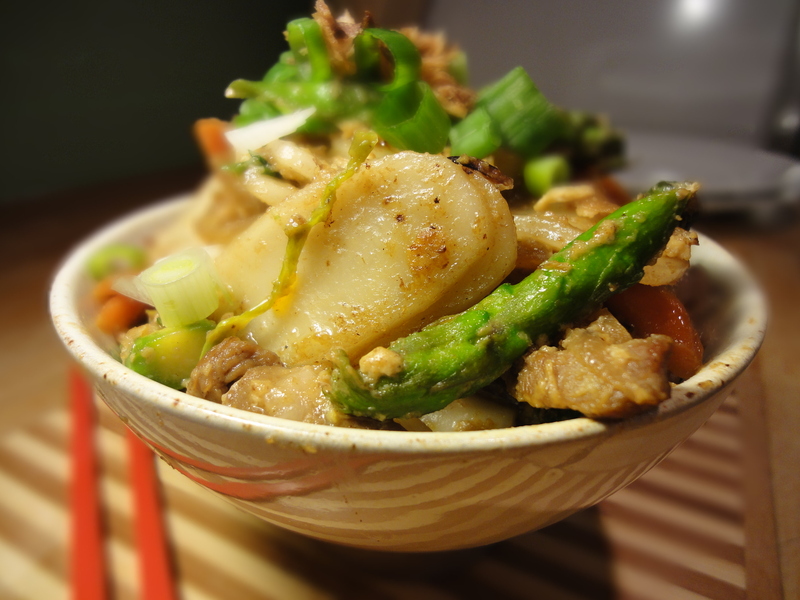 Pork stir fried with rice cake noodles. Bon app!